Shapewear and its enhancing, yet sweat inducing effects are no longer simply for the ladies! 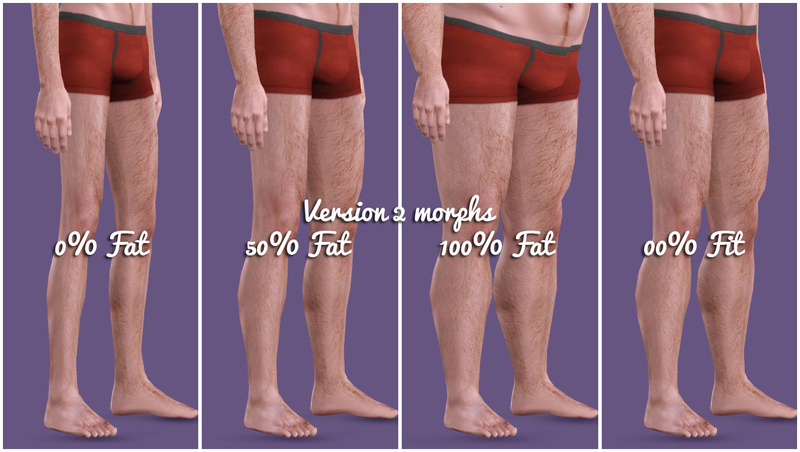 Your male sims too can be their best selves in these cutting-edge (and cutting circulation) Wonderbriefs! The Wonderbrief boasts modest package enhancement for those men who want a boost, without causing alarm! Your men will also find their butts comfortably supported and unencumbered by gravity! The Wonderbrief comes in three lengths to suit your gentleman whether he is attending a party or a court case! You can find your Wonderbriefs in CAS in the male underwear section for adults and young adult. Each length is added as a swatch and not a separate item. Update: There are now two versions, one with a modest bulge and one with a...less modest one. Both share the same channels, length options and polygon count. You can have both installed at the same time. There are three channels: The main fabric, the waist band and the uh...crotch band thing that I don't know the name of. Don't delay, give your mansims that much needed boost today! Peacemaker-ic for making the amazing TS4 underwear that I got the three lengths idea from! The Boss: Late Night Skinny Tie Alteration. Default/Non-Default.